Australia’s relationship to what it terms the ute is a veritable love affair. This is the nation’s car. Competitions are regularly held in the country to find not only the best design or the fastest vehicle, but also the largest number of dogs that can be accommodated. More manufacturers are producing utes, and details of individual models can be found in the car reviews with ratings at Motoring. Here are Australia’s five best-selling utes. The gawky style and primitive layout of the Holden Colorado is behind us. The latest model is considerably better-featured. It’s available only in diesel form and pulls like a train. It beats the HiLux for capability, power and style. The Ford Ranger is better, but the Colorado costs less. 12,902 were sold in 2012. As the latest Ford ranger review will tell you, this vehicle’s engineering, workhorse capability and refinement are better than any other, and it’s quieter. Steering is as good as a car’s and there’s plenty of cabin space. Alas, fuel efficiency could be better. 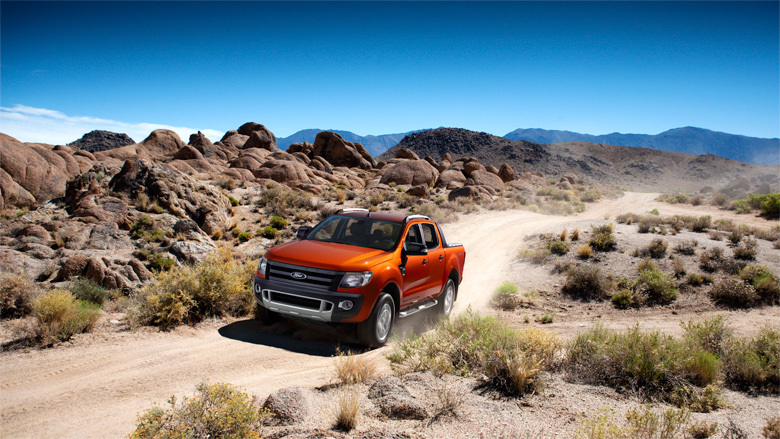 Ford clocked up 18,097 of sales in 2012. The curves and sloping lines of the Mitsubishi Triton look horrid, but it’s as tough as nails. Top Gear, the exceedingly popular British outfit, likened it to a rugby league forward. Because this is a truck, you shouldn’t expect car-like handling, but the interior beats those of many commercial vehicles. It’s reasonably comfortable, but bouncy, and the manual gearbox is very clunky. Road, tyre and engine noise abound. The 3.2-litre diesel engine exerts tremendous pull, but rattles awfully at low speeds. Fuel consumption can be problematic, as the petrol version guzzles the stuff. There were 18,502 Triton sales in 2012. The Nissan Navara is firm to ride and never bouncy, even unladen. It can be powered by petrol or diesel, and the petrol incarnation is thirsty. The trim is of excellent quality, and won’t leaving you feeling that you’re sitting in a Tupperware container, as so many work-and-play wannabes do. The Navara handles more like a large car than a truck. The tray supports more than a tonne. The Navara isn’t cheap to run, but a test drive will likely convince you that the extra cost is justified. 26,045 were sold in 2012. Australia’s best-selling ute is the Toyota HiLux. The latest model has a new front bumper, headlights, radiator grille and bonnet and is priced more competitively. Top Gear’s, presenter, Jeremy Clarkson, was unable to destroy one. Further testament to this vehicle’s hardiness was the trip one made to the North Pole as part of the Arctic Challenge. It’s currently the second best-selling vehicle in Australia, and may well seize the crown. Once more, there are petrol and diesel versions. It has been around for 43 years. The price of the HiLux has been reduced. It’s excellent, off-road. While some utes can be put into 4×4 low range at the touch of a button, in a HiLux you must stop and engage neutral before pulling another lever. There’s an enormous supply and parts chain in Australia, unlike some major rivals. There are now 35 variants. The HiLux now has anti-skid brakes. Seats are supportive and the suspension is cruisy. There’s more legroom than in a Camry. Utes have evidently come a long way since they first appeared in 1934 in response to a letter to Ford from the wife of a farmer in Gippsland, Victoria, asking if the company could build a vehicle the lady could use to drive to church on a Sunday and to take pigs to market on a Monday.